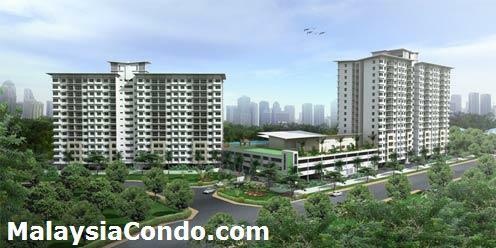 Panorama Residences is located in Sentul, a freehold condominium project by ECS Group. Comprising 435 condominium units on two blocks of 13 & 16-storey building. Each unit come with built-up area of 935 and 1,041 sq.ft. Facilities at Panorama Residences include swimming pool, gymnasium, multi-purpose hall, tennis court, squash court, children playground, BBQ area, gazebo, cafeteria and mini mart. Built-up area : 935 - 1,041 sq.ft.